Directions Clean affected area with soap and warm water and dry thoroughly. 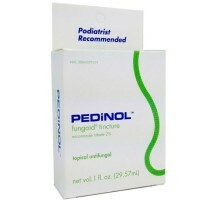 Apply a thin layer two times a day (mornings and evenings) to affected area especially the space between and around toes. 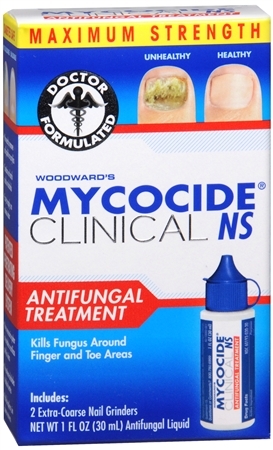 For athlete's foot, use daily for four weeks or as directed by a physician. Allow solution to soak into skin or rub in to dry more quickly before putting on socks. 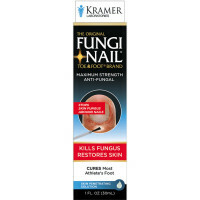 This product is not effective on scalp or nails. Following a proper foot hygiene regimen along with wearing well fitting, ventilated shoes and clean socks that are changed at least daily is helpful in preventing future infections. 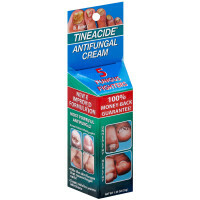 Uses Cures most fungal skin infections, including athlete's foot (tinea pedis) and ringworm (tinea corporis). 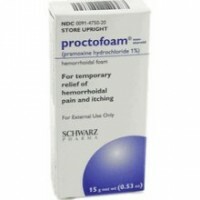 Effectively relieves itching, burning, cracking and scaling accompanying such conditions. No need to remove nail polish or acrylics. Clinically proven. Contains no harsh acids or alcohols. Easy to apply; no noxious odors. Maximum strength formula: Improves the appearance of thickened nails in a week - guaranteed! Safe for diabetes. 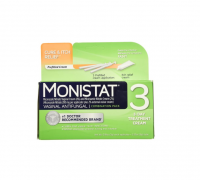 With patented penetrating delivery system and the soothing allantoin difference. Warnings For external use only. Do not use: near the mouth or eyes; with known sensitivities to any listed ingredients; on children under 2 years of age unless directed by a doctor. When using this product avoid eye contact. If accidental eye contact occurs, rinse thoroughly with water for 10-15 minutes. Stop use and ask a doctor if rash or irritation occurs, or if no improvement is seen after four weeks. If pregnant/breast-feeding, consult a health professional before using. Keep out of reach of children. If swallowed, get medical help or contact a Poison Control Center immediately.